Brooks Sports was ready to change the running game with the launch of their new Transcend Running Shoe. The shoe was designed and developed with new materials and technologies which offered better cushioning for runners. Brooks needed a way to spread the word about the Transcend product while also educating consumers about the key technologies that offer a "running on the clouds" experience. Brooks was looking for a first to market and high impact marketing campaign to take their messaging to the next level. Americhip worked with Brooks and its Ad Agency to develop two unique programs that utilized several of Americhip's Multisensory Technologies. 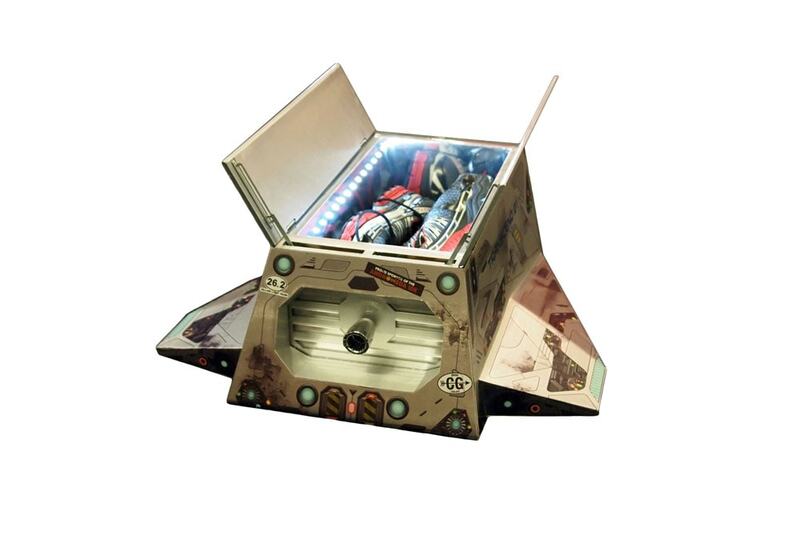 With a futuristic theme in mind, Americhip designed a shoe box that would look like an actual spaceship. 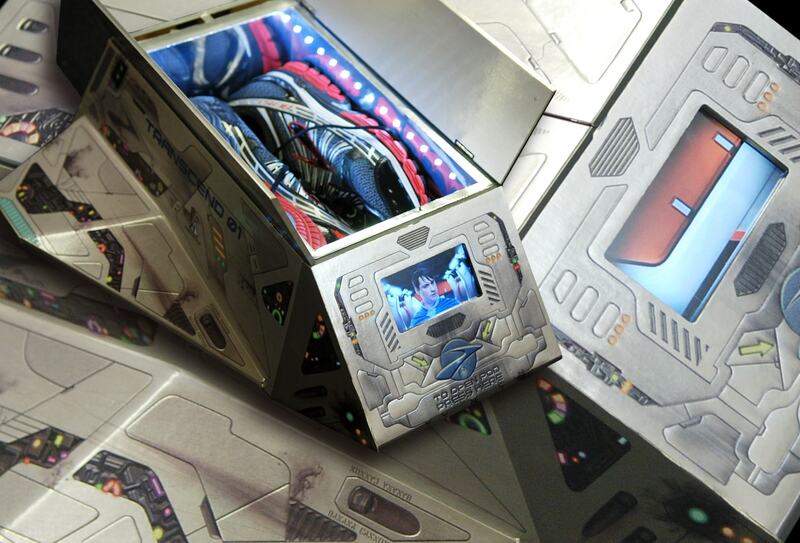 The specialty packaging included a video screen that played a clip "from the future" to introduce the Transcend to shoppers, as well as gave instructions on how to activate the opening mechanism, located in the spaceship's rear single thruster. After viewing the video, consumers were instructed to rotate the rear thruster which would open the top hatch of the spaceship to reveal the Transcend Running Shoes. 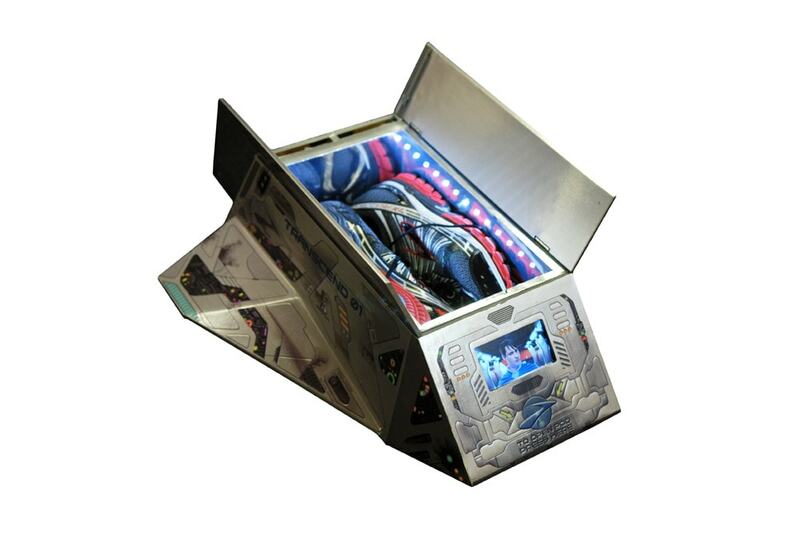 Along with LED lights, the shoe box had custom graphics and a metal finish look to make the futuristic theme come to life!